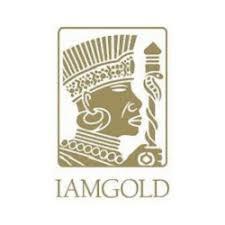 IAMGOLD Corporation (TSX: IMG) today provided a further update from its 2018 drilling program completed at its Nelligan joint venture project (IAMGOLD Corporation: 51%, Vanstar Mining Resources Inc.: 49%), located 60 kilometres southwest of Chibougamau, Quebec, Canada. The Company is reporting assay results from the remaining nine diamond drill holes totaling 4,487 metres completed as part of the 2018 drilling program. The 2018 diamond drilling program was designed to evaluate the resource potential of the recently discovered mineralization system, referred to as the Renard Zone, located immediately north of the previously known Liam and Dan zones. The drilling program continued to intersect wide zones of hydrothermal alteration characterized by variable carbonatization, sericite, phlogopite and pervasive silicification affecting the hosting meta-sedimentary sequence. Disseminated pyrite is widespread, distributed in the alteration zones and varies from 1% to locally 15%. Trace molybdenite and occasionally fine grains of visible gold are observed. In 2019, an initial 12,000 to 15,000 metres of diamond drilling program is planned to infill and further test continuity of the mineralized zones of the Renard system. Drill rigs are currently being mobilized to the property with the commencement of drilling activities expected by mid-January. The drilling results, coupled with ongoing geological, geochemical and structural studies, will be integrated to support the development and refinement of a deposit model with the objective of completing an initial NI 43-101 compliant resource estimate in 2019. The Nelligan project is underlain by a portion of the Caopatina segment belonging to the North Volcanic Zone of the Abitibi Belt of the Superior Province. The property is centered on the E-W Druillette synclinal with sediments of the Caopatina Formation bounded to the north and to the south by volcanic rocks of the Obatogamau Formation. The North and South portions of the property are occupied by granodioritic to tonalitic intrusions. The project is transected by numerous regional and local structures and deformation zones which can be important in the localization of gold mineralization. Gold showings of the area can be grouped according to their style of mineralization: Quartz-sulphide vein type mineralization and disseminated pyrite mineralization. On the local scale, the Nelligan project contains several interesting gold showings, including the Liam and Dan Zones discovered by drilling in 2013 and 2014, and the historical Lake Eu showing. Significant alteration and associated gold mineralization was intersected over wide intervals to the north of the known gold showings over a strike length of more than 1.0 kilometre, to a depth of over 300 vertical metres (Zones 36 and Renard). These prospective showings appear to fall within a structural corridor with a potential strike length of several kilometres associated to the Guercheville Deformed Corridor located 5 kilometres north of the property. The Nelligan Project is held under an earn-in option to joint venture agreement with Vanstar. The Company holds an undivided 51% interest in the property, and holds an option to earn a further 24% undivided interest in exchange for cash payments totaling C$2,750,000 to Vanstar and the delivery of an NI 43-101 compliant Resource Estimate and Technical Report before March 2022. Once vested to an undivided 75% interest, IAMGOLD will have a further option to acquire an additional interest of 5%, to hold an 80% interest in the Nelligan project by completing and delivering a Feasibility Study. Vanstar would then retain a 20% undivided non-contributory carried interest until the commencement of commercial production, after which: (1) the 20% undivided interest becomes participating; and (2) Vanstar will pay its attributable portion of the total development and construction costs to the commencement of commercial production from 80% of its share of any ongoing distributions from the Joint Venture. Vanstar will also retain a 1% NSR royalty on selected claims of the project. The drilling results contained in this news release have been prepared in accordance with National Instrument 43-101 Standards of Disclosure for Mineral Projects. The “Qualified Person” responsible for the supervision of the preparation and review of this information is Marie-France Bugnon, P. Geo., General Manager Exploration. Marie-France is considered a “Qualified Person” for the purposes of National Instrument 43-101 with respect to the technical information being reported on. The technical information has been included herein with the consent and prior review of the above noted Qualified Person. The Qualified person has verified the data disclosed, and data underlying the information or opinions contained herein. The sampling of, and assay data from, the drill core is monitored through the implementation of a quality assurance – quality control (QA-QC) program designed to follow industry best practice. Drill core (NQ size) samples are selected by the IAMGOLD geologists and sawn in half with a diamond saw at the project site. Half of the core is retained at the site for reference purposes. Sample intervals may vary from half a metre to one and a half metres in length depending on the geological observations. Samples are transported in sealed bags to ALS Minerals Laboratory (“ALS”) located in Val-d’Or, Québec. Samples are coarse crushed to a -10 mesh and then a 1,000 gram split is pulverized to 95% passing -150 mesh. ALS processes analytical pulps directly at their facilities located in Val-d’Or which is ISO / IEC 17025 certified by the Standards Council of Canada. Samples are analyzed using a standard fire assay with a 50 gram charge with an Atomic Absorption (AA) finish. For samples that return assay values over 5.0 grams per tonne, another pulp is taken and fire assayed with a gravimetric finish. Core samples showing visible gold or samples which have returned values greater than 10.0 grams per tonne are re-analyzed by pulp metallic analysis. IAMGOLD inserts blanks and certified reference standards in the sample sequence for quality control. IAMGOLD is a mid-tier mining company with four operating gold mines on three continents. A solid base of strategic assets in North and South America and West Africa is complemented by development and exploration projects and continued assessment of accretive acquisition opportunities. IAMGOLD is in a strong financial position with extensive management and operational expertise.